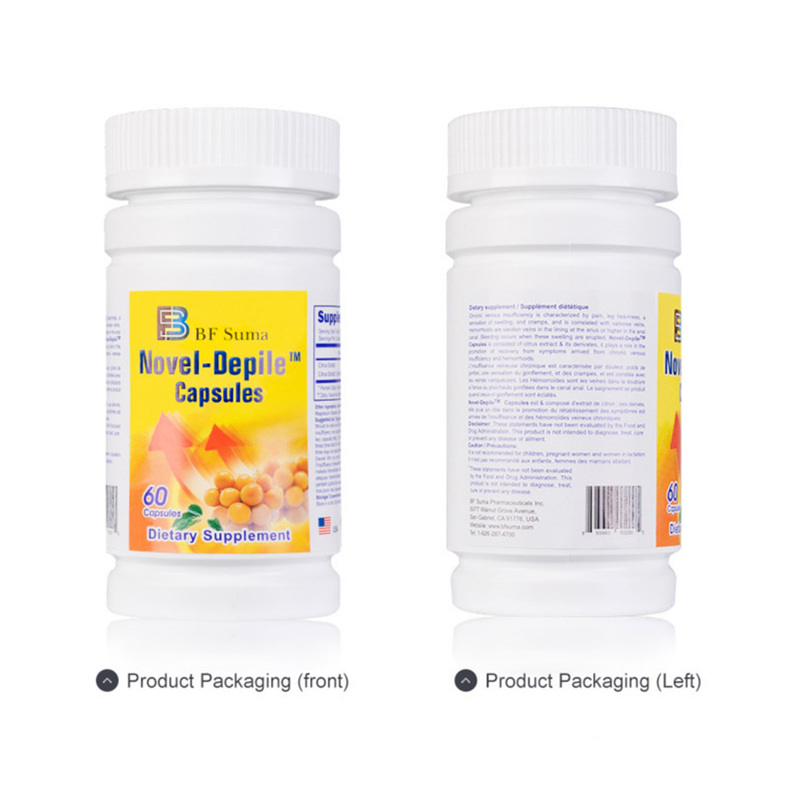 Novel-Depile Capsules contains natural ingredients from citrus, which is effective for Hemorrhoids, Varicose Veins, Gout, Swelling, Ulcers, and various digestive ailments. 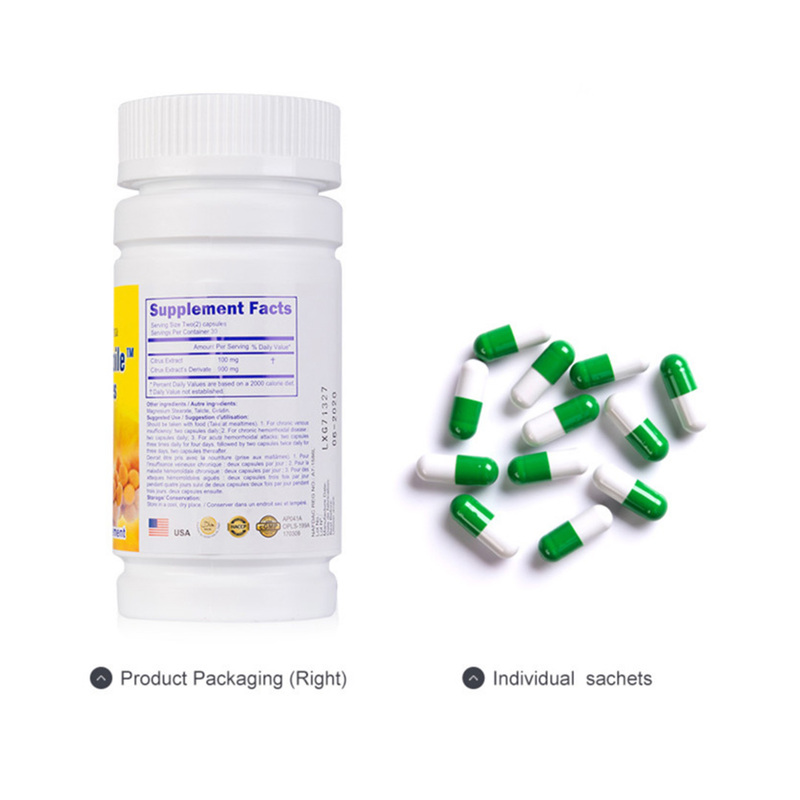 For chronic venous dysfunction and chronic hemorrhoidal disease – two capsules daily. 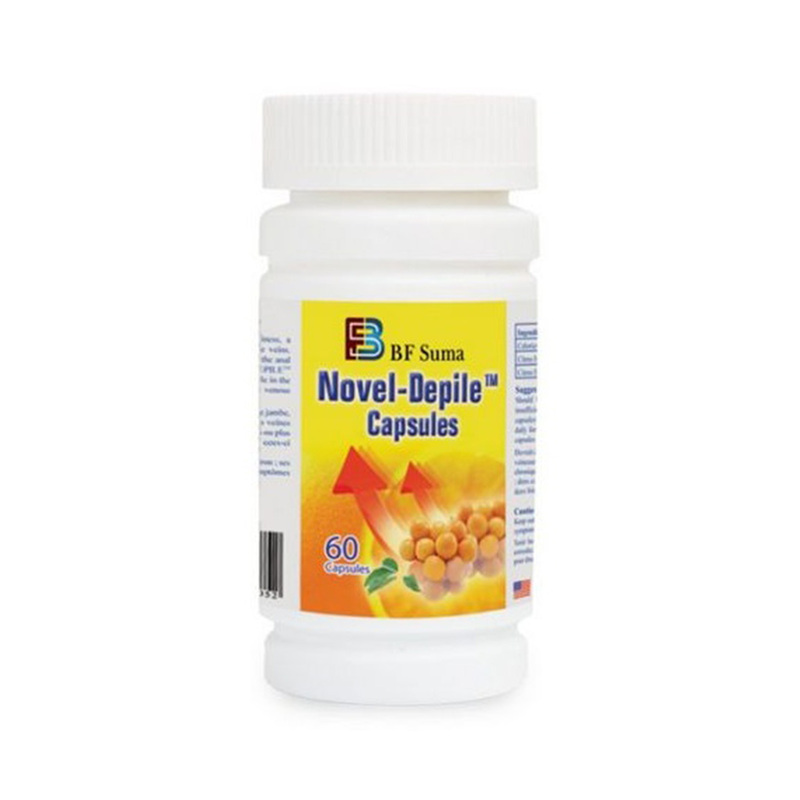 For acute hemorrhoidal attacks – two capsules three times daily for four days, followed by two capsules twice daily for three days, two capsules thereafter. Relieve pain, burning sensation, and itching. Reduce discomfort after having a bowel movement.